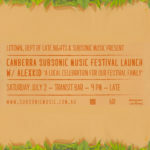 Subsonic Festival is one of Australia’s premium outdoor music experiences, held in the beautifully lush surroundings of Riverwood Downs north of Sydney. While this unique festival is still six months away, the first line-up has just dropped, so we decided it’s time to celebrate with a series of launch parties. 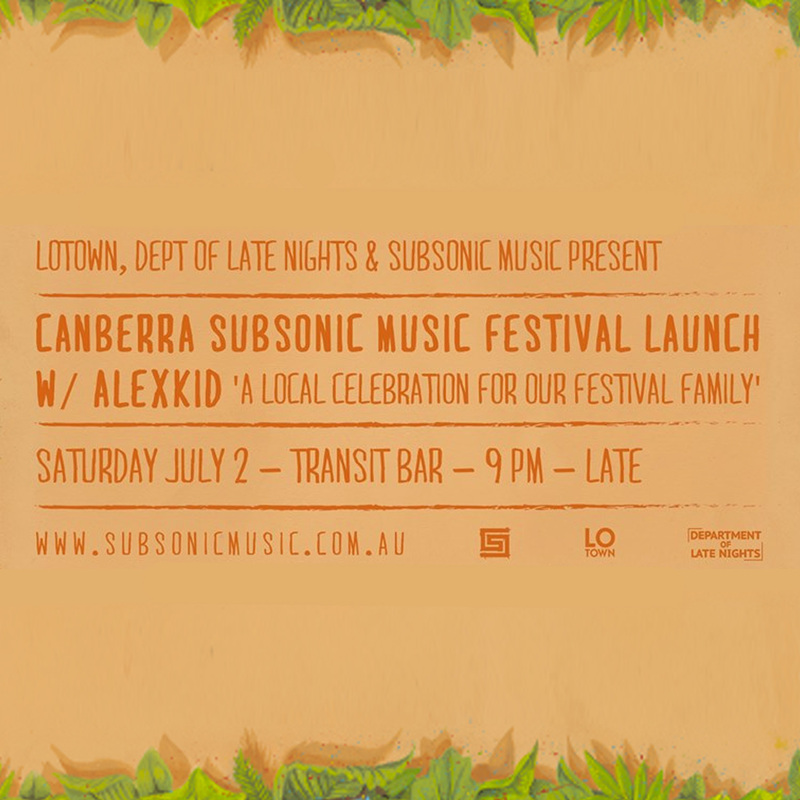 On Saturday the 2nd of July, Transit Bar will host the Canberra launch party of Subsonic Music Festival. To make it extra special we’ve teamed up with the very fine Canberran techno crews Lotown and Department of Late Nights, bringing you an evening of quality beats and revelry. Not only that, but the Subsonic institution and protagonist of Parisian underground dance music culture ALEXKID will be here all the way from Berlin to headline the night. 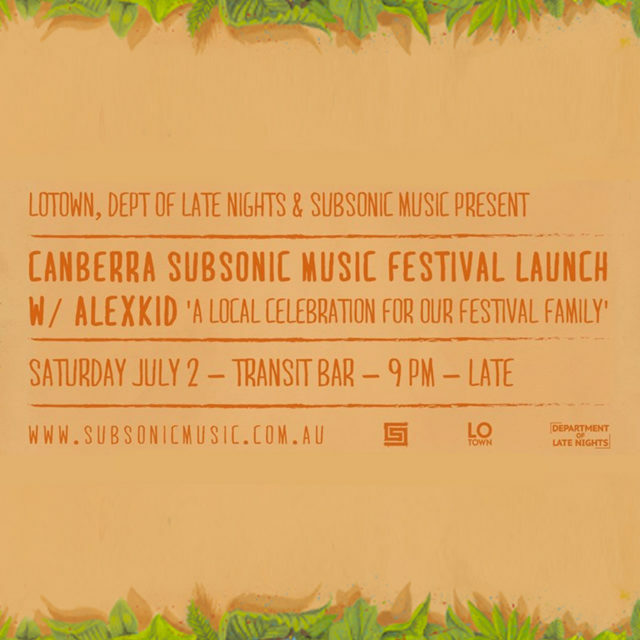 Last year’s launch party was a highlight of Canberra’s 2015 techno calendar, and we expect this one to again be a favourite, so make sure you lock this one in! Expect giveaways on the night, information about the festival, and maybe even a special guest. Tickets on sale at the link above, and if this is anything like last year’s party, you’re best to get them quick.